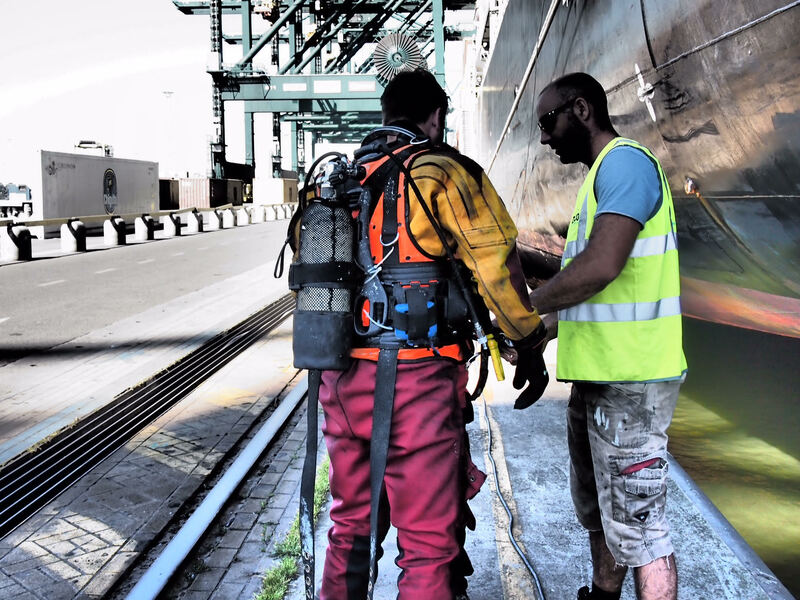 At first sight the underwater inspections might seem as the most easy part of the job – we tend to believe differently. One of the most important tasks we believe is showing the condition of the vessel or parts of the vessel when in the water. Based on the footage produced by our divers decisions about repairs are made, sales are closed or class certificates are extended. We invest a great deal of time in training our staff in ships structures, using the wright terminology, keeping them updated about the newest technical developments in the industry – making sure they can be your eyes underwater. Please contact us to require a quotation for your next underwater inspection.